The Iron finished sunny side up in northern Hertfordshire – and began October in not fluent, but dogged and determined style. It was an excruciatingly hot day for fans and players alike, but 2 great goals: and a whole host of defensive steel, was enough to carry 3 points back up the A1 for Alan Knill’s men in claret & blue. The football was very rarely flowing – but with two goals in stoppage time, one in the 1st & one in the 2nd half respectively: gave Scunny back to back wins for the first time in nearly a year: and the first, (hopefully of many! ), away win this season. If you’re a Stevenage fan, you might have come away from the atmospheric Lamex Stadium cursing your bad luck. But as their manager Graham Westley honestly noted post-match, football isn’t about luck. Despite having been dominant for the vast majority of the game – it was the Iron’s defensive display that secured the victory. The win bumps Scunthorpe up to 15th, just a place behind their conquered opponents – and it was down in no small measure to what was undoubtedly the best defensive performance of the season. With the stats showing that Boro had twice as many shots as the Iron, and comfortably more of the ball – it was a rare occasion when the Iron were brilliantly ruthless thanks to great strikes from Michael O’Connor and Eddie Nolan. 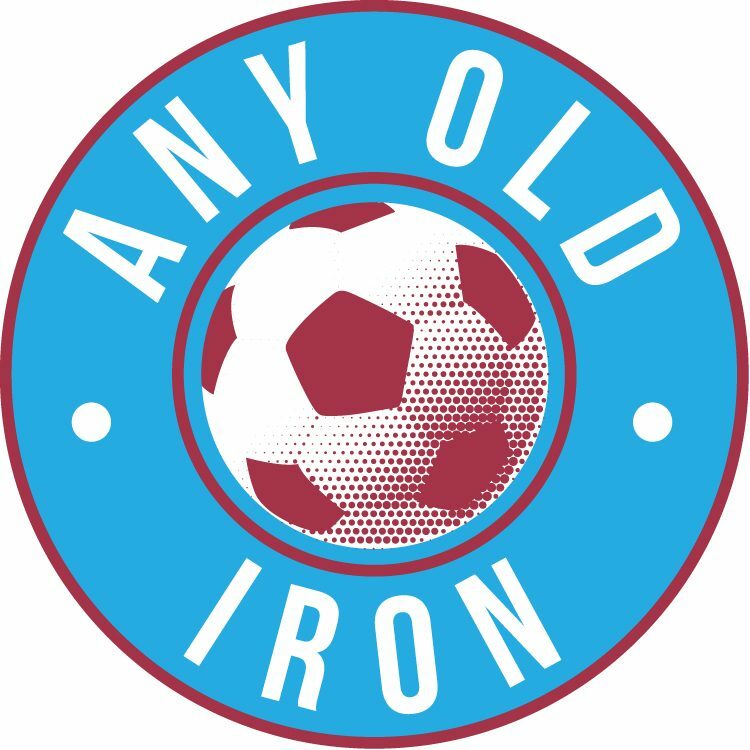 And given the amount of times we fans of Iron have been moaning about the lack of that post-match this season, the reverse can only be a great thing. Even discounting the horrendously warm conditions, we won’t face many tougher games away from home this season. Sure there will come teams when we’re beaten, and there may even come days when we’re outclassed. But if the 11 lads work as hard as they did this afternoon, under almost constant physical and territorial bombardment: then we can all leave the game with our heads held high regardless. And if Westley’s men play like that enough games throughout 2011/2012 – then I’d be gobsmacked if they don’t survive comfortably in League One. That said – if Shane Duffy hadn’t tucked in behind Johnstone in the 96th minute and hacked a late effort off the line, we’d be screaming in anger and wondering why we couldn’t just hold on for stoppage time. Shows just how minimal the differences in emotions can be when it comes to football! We made only one change from the XI that started in the Yeovil win last Saturday – with the club mistaken in their expectation of Paul Reid’s recovery. With the ex-Colchester defender’s broken nose and facial injuries too much for him too soon, so the Iron’s very own Lazarus Michael Nelson started the game, and put in a brilliant 90 minutes. The game started rather flatly – and as eager as the hosts were to look for the direct balls, the lively forward Reid was let down by the ineptitude of his partner May. And whilst the latter got a good reception from the travelling fans – you got the real impression that a certain few were taking the piss! That and the right-back Lawrie Wilson for the home team was a real, real asset. He was bombing forward up the flank – and was a real threat for the Boro’. He was absolutely everywhere – and when with the ball at his feet was constantly looking for the give and go. If the Iron find themselves needing a right-back in the foreseeable future: I’d be surprised if there’s many better candidates. With the baking sun pouring down – it was clearly having effects on the Iron, but it was clear they were ready for the physical battle and scrap that was going to be required for success. Indeed, the Iron almost got sucked into it too much – and with Barcham on the bench, pace and skill were missing for considerable swathes of the afternoon. And this type of game was suiting the hosts more, and as the half progressed they were certainly having the better of it. For not only did the humble – but in many ways brilliant, Broadhall Way, remind you so much of Cheltenham: but as did the game as well. Very scrappy – and a late goal inspired Iron win. But some times it felt more like Broadmoor – but the away end, with just shy of 600 of the Iron faithful making up the crowd of 2,900+ was live constantly. And just when you thought a drab first half from our perspective was drawing to an end in quiet style, a brilliant run from the left from EDDIE NOLAN who cut inside with vision – and drilled home a fantastic strike right into the bottom right hand corner. In the 2nd minute of first-half stoppage time, the joy of all those around was plain to see – and with it being only the Irishman’s 2nd career goal: you couldn’t begrudge him or the visiting army from enjoying the moment. This put a nice glossiness on an edgy first half, where Stevenage had had their fair share of chances but who cared at half time. The Iron began the next half with plenty of hope of being able to turn the screw on their opponents, and whilst there was plenty of room for improvement – the stick never got close to moving in the gearbox. The Iron were barely out of neutral for huge swathes. And meanwhile – the battering ram was constantly there, probing and pressing whilst waiting for the Iron to crack. But the backline were extremely resolute – and still managed to look threatening on the break. This was especially the case once an understandably exhausted Chris Dagnall had been taken off as the Iron went for a wee bit more pace. Thus with Ajose & Barcham on – the Iron had a chance or two to kill the game, but couldn’t quite sieze it. That was until near the very end. With 5 minutes of stoppage having been signalled – the Iron fans were understandably edgy, but a minute in: you thought it was all over. Barcham raced onto a ball up the left, held it up well and battled. That said – he lost the ball, but the excellent MICHAEL O’CONNOR intercepted the ball well, cut inside – and from a very tight angle, curled in a stunning strike at the back post. That said – it was scary stuff when an almighty scramble dropped nicely for the late home sub WALKER who curled past Johnstone to deny the Iron their first league clean sheet since March. And it was very close to being 2-2, but Duffy read the ball brilliantly – and was able to hack away from goal when the clock was well beyond 90+5. But it was enough for happy away fans, as the whistle rang not long after! Thus, we were all able to go home delighted, for despite the struggles: it was a great defensive performance and battling win for the Iron under very tough circumstances. And who wouldn’t take more of the same for the next few months eh? !